Lighting on terrains is back ingame, adapted to the new shaders. 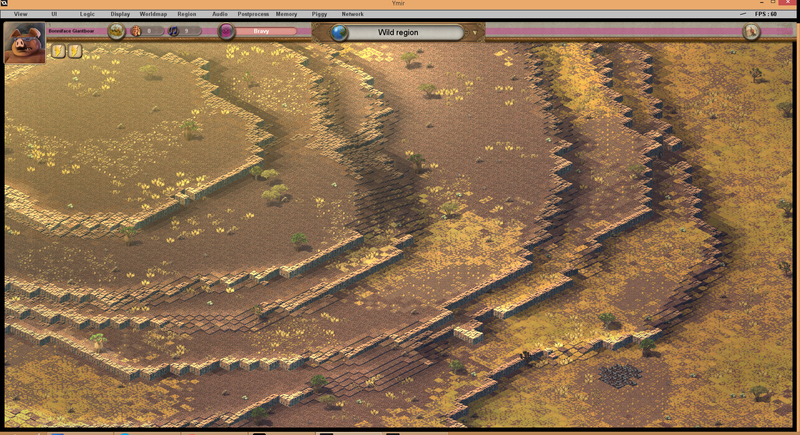 Also it now brightens exposed terrain (like slopes exposed to the “sun” ) instead of just darkening terrain in shadows. 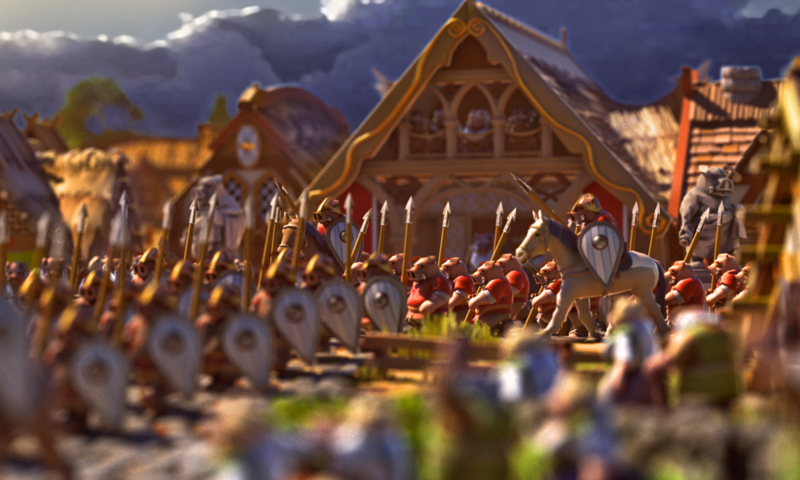 Decorative citizens are back ingame. 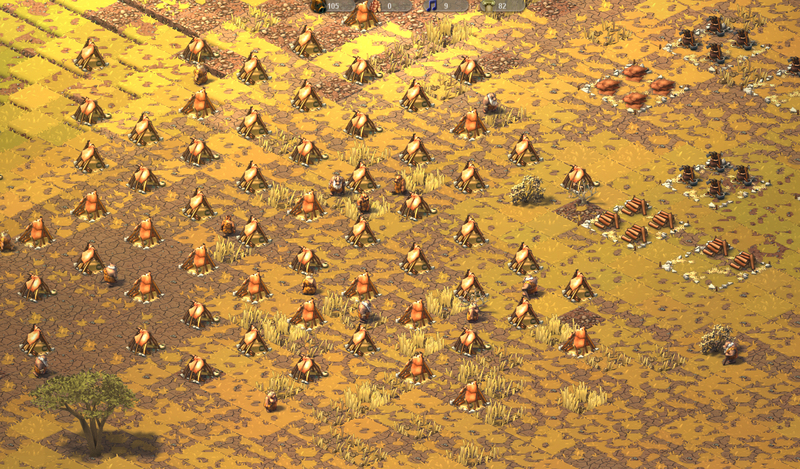 Unit camps ( formations ) now generate decorative units as well, matching the unit types and amounts present in these formations. 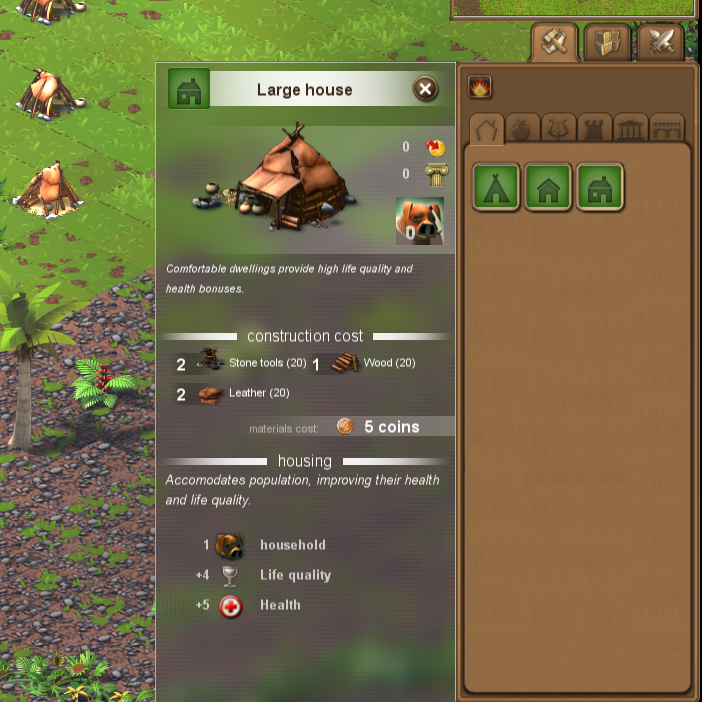 I’ve made a new building info panel (when hovering a building type button , in the build tab). This pannel gives detailed infos about the building : materials required to build it, cost of these materials, maintenance costs,display preview, short text description of its role and other stats specific to the building type. Unlike in the alpha 1 , materials now have an actual cost. It means that now, to build, not only you need to have these materials in stock but you will also need to buy them at their current price. The income goes to the porcos producing each one of these materials, making them richer. 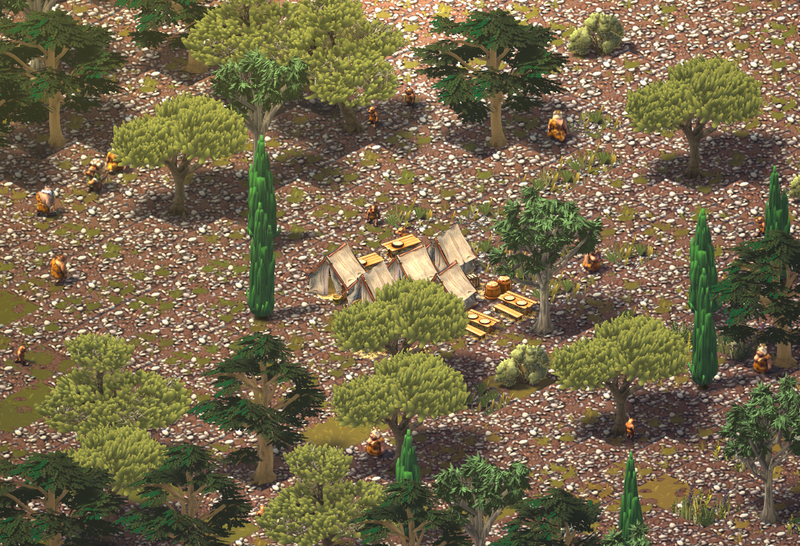 Also the price is affected by the player’s consumption : for exemple if you use lots of wood at once, its price will increase. Here, because each required resource currently costs 1 coin , this building cost 5 coins to build. Also, finally, i’ve designed a proper system to support localisation. I will have to progressively update everything to make use of this, which will take a while. With this system, all texts are externally stored in .txt files and indexed with a ‘key’ contained in the “index” files. By adding new .txt files with a different language name in the filename, the game will automatically recognize these and they will appear as a new language option ingame. By default the game will only include english and probably french (i’ll never get the time to do more), but anyone will be able to easily make new language files and share them with the community (and also correcting all my english mistakes ^^). To do that all you’ll have to do is copy the english files, rename them with another language and translate their content. However for now it will only be possible to support languages using western or Cyrillic alphabets, because i don’t know how to deal with fonts regarding other languages yet ( including all the possible characters of all languages would require giant fonts using too much memory ). Progress is slowly becoming more and more visible again, as i finished refining most of the ‘core’ systems from the alpha 1 prototype. 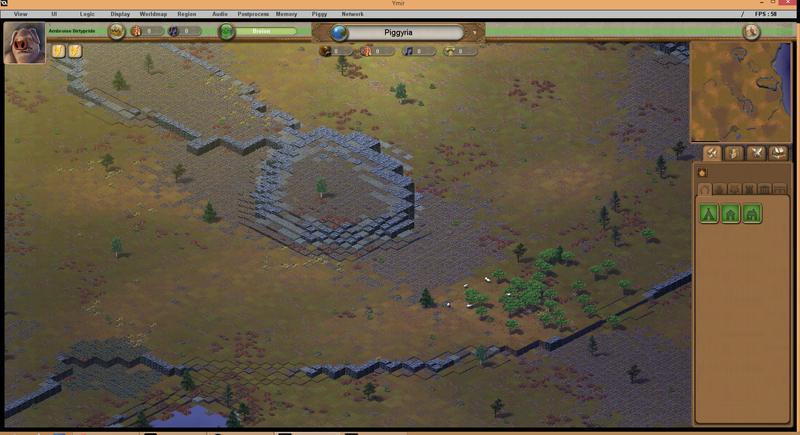 I’ve also been away for about a week in vacation and i kept working on fixing various bugs and optimizations. I’m busy improving systems to keep client data synced with server data in the most automatic and centralized way as possible, so a single system can deal with ‘everything’, making debugging easier and improving stability. 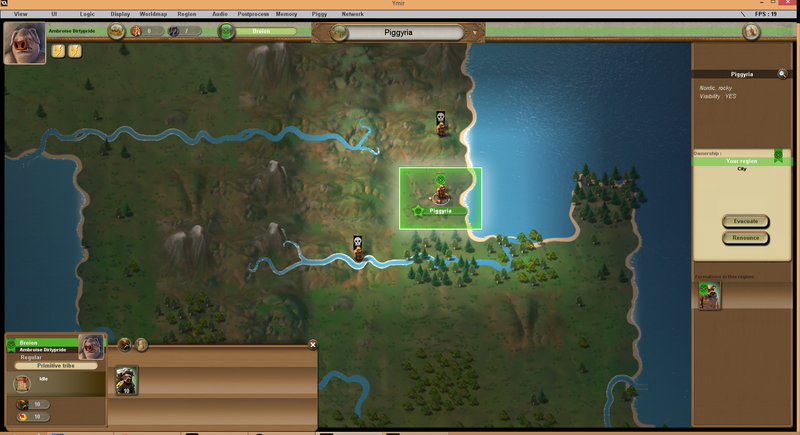 – basic region UI , also added a minimap at last!